Our luxury community is ideally located in Pewaukee, Wisconsin, a green and sprawling neighborhood just twenty miles west of downtown Milwaukee. Set alongside Pewaukee Road between Liberty Park and Wagner Park, our charming community features all the daily necessities you need to succeed and all the creature comforts you require to live your best life. Stop for groceries at one of the nearby supermarkets, including Walmart and Pick N Save, or drive a little further to visit Good Harvest Market. After a long day at work, treat yourself to some retail therapy at Silvernail Shopping Center or meet your friends for happy hour at Casa Tequila. 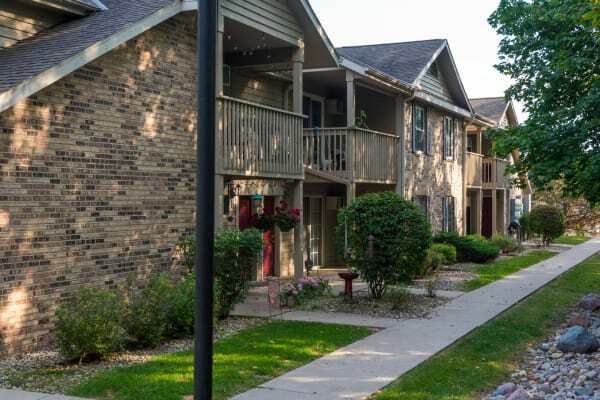 Commuters will appreciate that Bridlewood Apartments also offers convenient access to Interstate 94 and downtown Milwaukee. If you need to leave town, we’re only 25 miles from General Mitchell International Airport. Do you want to see our vibrant neighborhood in person? Contact a member of our expert team to schedule your VIP tour of our luxury apartments for rent in Pewaukee, WI today.